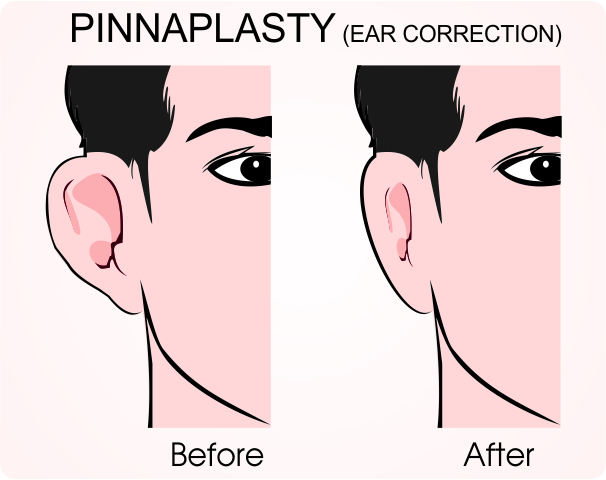 Correction of Prominent Ears or Pinnaplasty is a kind of restorative/cosmetic plastic surgery where correction of prominent or strangely formed ears is done. Restorative/Cosmetic ear surgery or pinnaplasty can be performed to reshape the ears in many ways. The most widely recognized strategy is to correct ears, which stand out by setting them back nearer to the head. Cosmetic ear surgery can likewise correct large ears, reshape the ligaments in ears with unnatural shapes, or increase the size of little ears. Surgery can likewise reduce vast or extended ear cartilage, or large creases and wrinkles in the ear. 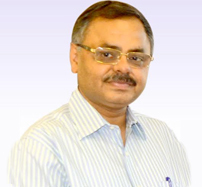 Pinnaplasty is also called as otoplasty. Pinnaplasty can be performed under a general anaesthesia and either requires a one night stay in a hospital or sometimes, can be performed on a day care basis. Alternatively, pinnaplasty can be completed under local anaesthesia on a day care basis. Your surgeon will advise which anaesthetic is the most fitting for your situation. The surgeon makes cuts behind the ear. The ligament might be re-formed, folded or some of it might be removed. After the surgery; the incisions or cuts are closed with sutures. This plastic surgery operation is frequently done during childhood yet it is best when the patient is 5 years of age or more as until then the ligament is extremely floppy and does not hold the stitches well. Children are generally more cooperative and happy with the result when they completely comprehend why the plastic surgery is occurring. Pinnaplasty is likewise performed during the teenage years and in adults under either a local or general anesthesia. After pinnaplasty you may experience to have some pain/inconvenience, swelling and bruising. These are transitory and ought to subside after an initial couple of weeks. Your surgeon will tell you for how long you need to keep your dressings/bandages set up - this can be up to two weeks. When this dressing is removed, you might be encouraged to wear a little and light headband to secure your ears. Your surgeon will educate about the method and duration of wearing headband. You should evade strenuous activity, heavy lifting, and swimming for around six weeks after surgery. You may take a week off work. Risks and potential complications from Pinnaplasty surgery? Ears will be sore and delicate immediately after a pinnaplasty or restorative/cosmetic ear surgery operation, with mild bruising and swelling. Sensations of "snugness", or "pulling", of the ears might be seen during healing, which will disappear following a week or so. There will be a fine scar which is hardly visible as it is covered up in natural ear crease. There may be a possibility of marginally lop -sided ears which may require another operation to put it right. The results of an otoplasty method are actually reshaped or resized ears that lie closer to your head.